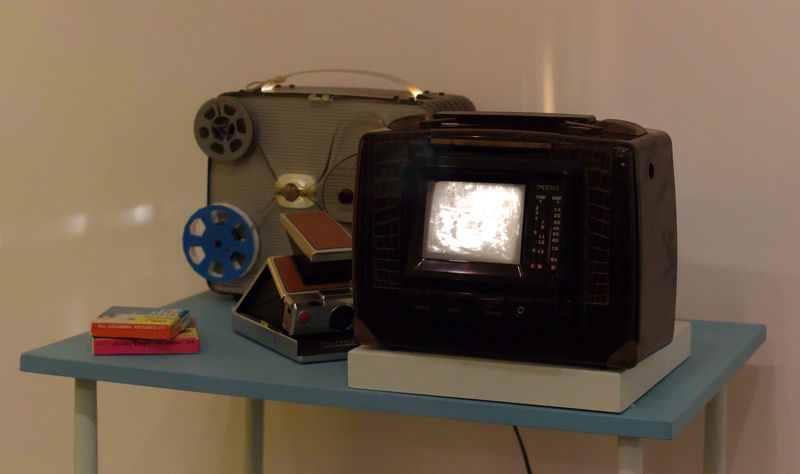 The Past Viewer is a small installation for 8mm film projection. It originally included a Brownie projector shooting its image onto a mirror, reflecting back to a piece of frosted mylar. 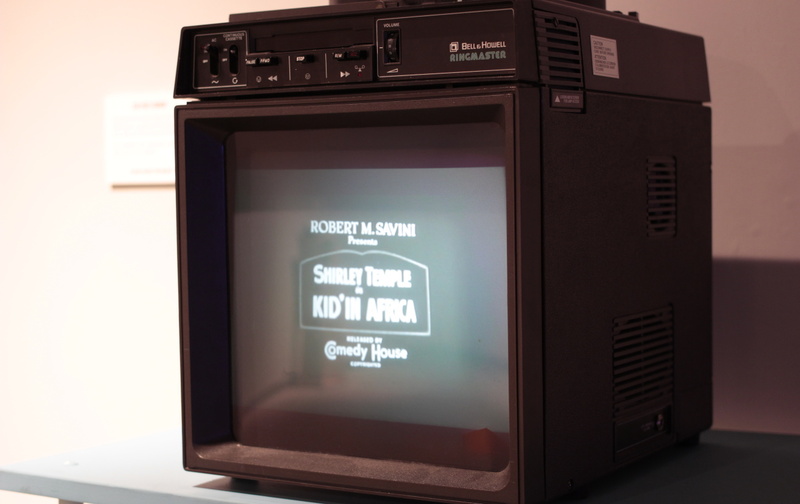 The image above shows its first configuration, where the projection surface was installed into a modified radio/portable tv hybrid. This was initially a part of my first Objects of Note exhibition. I took an old slide-projection viewing-box-thing, and placed a small pocket projector inside, reflecting off a mirror within the box itself. Using a digital projector meant that I had to digitize the films, and find something to store and playback the videos. 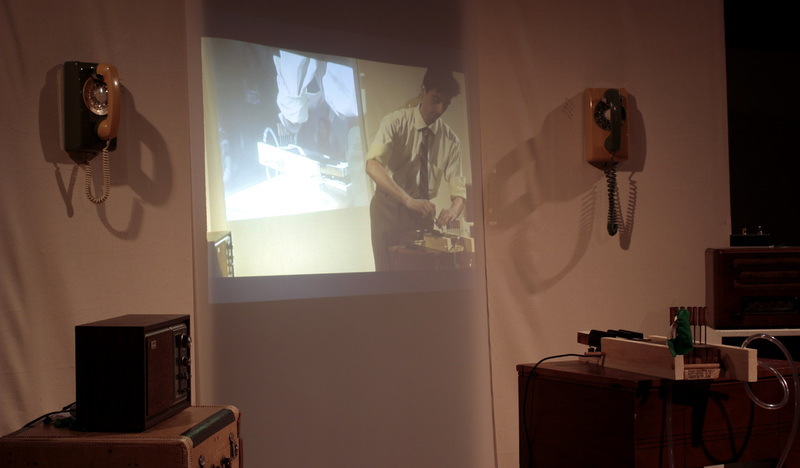 In this iteration, the system used for playback is a small Raspberry Pi computer, hidden inside the projection box. Now that everything is digital, I can use a script to control the timing and playback of the video, allowing the installation to run unassisted. But Why Make This Thing? In general, this (rather simple) installation uses cultural objects from the past as a way to explore the media preferences of North America's recent history. What was entertaining? What was important? Predominantly, I use the setup to project short silent films form the 1930s and 40s. Some clips are straight forward examples of popular film characters which still maintain a quaint nostalgia, while other clips are no longer endearing to a contemporary audience. In most cases, these films are short excerpts of larger works adapted specifically for home viewing on 8mm film. In the case of the Invisible Man, all of the drama of the 70 minute film is compressed into a silent 7 minutes. The act of re-presenting these films in the gallery is just another iteration in its chain of representation adaptation. In my recent performance I MADE THIS FOR YOU, centered behind my main area of movement was a projection surface embedded in the stage's backdrop. Once the performance was over, the installation was complemented by adding a filmed version of the performance to the projection surface. 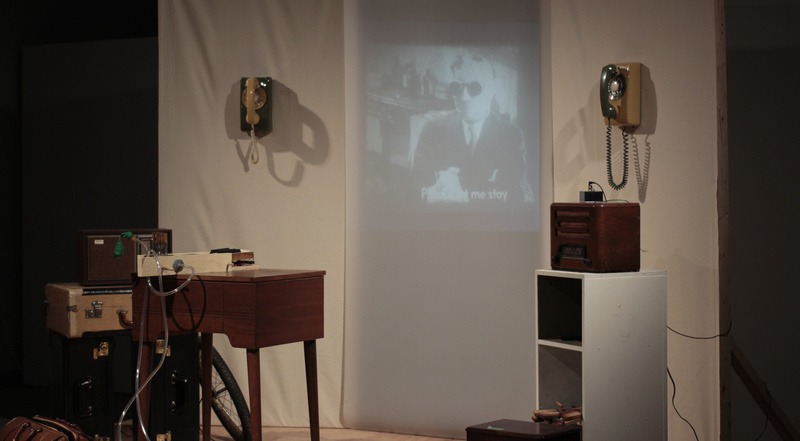 This video was placed back to back with the video material which played during the initial performance (a Super 8 version of Claude Rains as the Invisible Man). During the performance, the projection positioned itself as another access point into the artwork. Afterwards, it was used to complete the installation by bringing the performance back into the exhibition space.